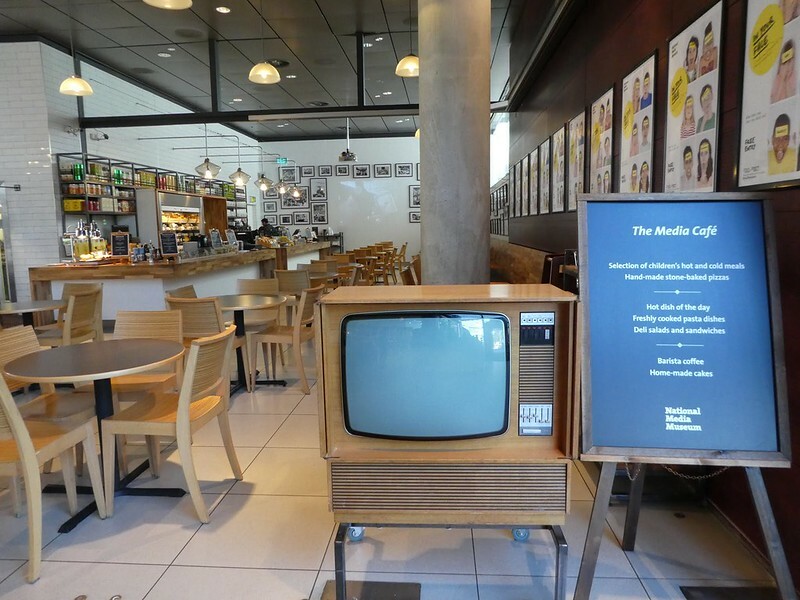 After enjoying our visit to MediaCityUK in Salford we decided it was time to take a look around the National Science and Media Museum based in Bradford, West Yorkshire. 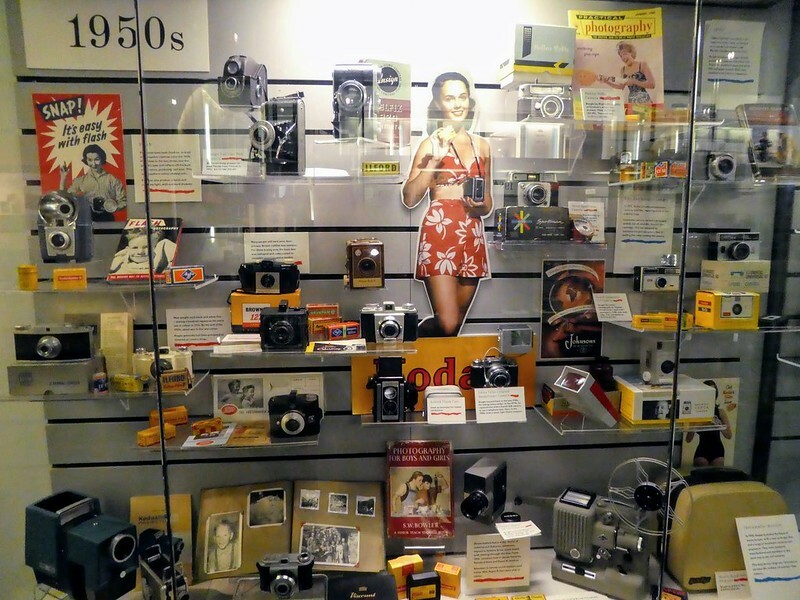 The museum is devoted to Film, Photography and Television and the science of light and sound, which is part of the National Science group. The museum is also home to Yorkshire’s only IMAX 3D cinema and a Pictureville cinema is also on the site. It’s a 10-15 minute walk from either of the two city’s railway stations and is clearly signposted. The feature photo above shows the outside of the building and in the foreground, a statue of J.B.Priestley the Bradford born novelist and playwright can be seen. 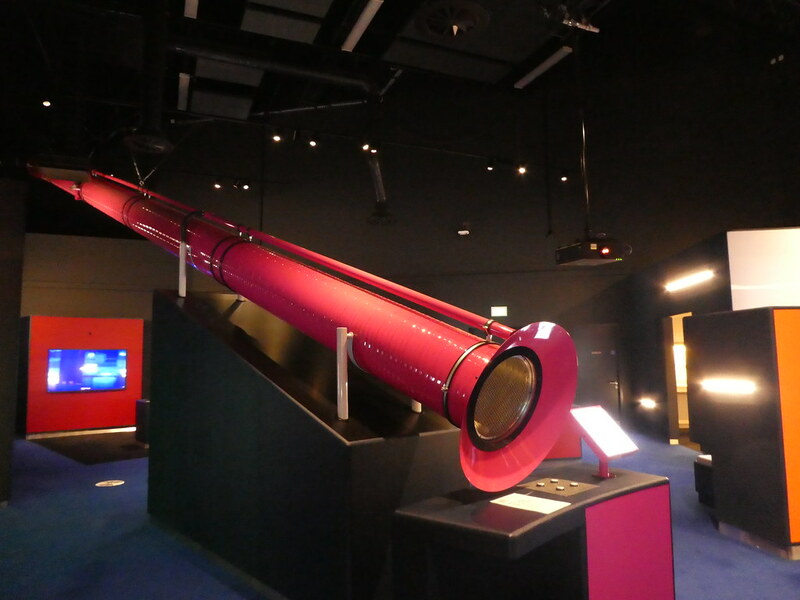 The museum features several floors of galleries with exhibitions focusing on photography, television, animation, video gaming, the internet and the scientific principles behind light and colour. Stepping indoors, the foyer is light and airy with a shop, cafe and a gallery entitled ‘Life online’. As someone who perhaps spends rather a lot of her time online, this was definitely the place for me! It’s the world’s first gallery dedicated to exploring the social, technological and cultural impact of the internet. I found looking around this gallery totally captivating, spending quite some time there. It tracks the history of the Internet from the first experimental messages to the rise of modern social networking. Running beneath a glass walkway we were able to view a timeline demonstrating the evolution of the Internet and computer technology. The gallery is subdivided into four sections : In the Beginning – The Internet is Born tracks the growth of the technical infrastructure that formed the Internet. Into the World Goes Public then explores the early days of online communities from the first emails to the impact of the World Wide Web. 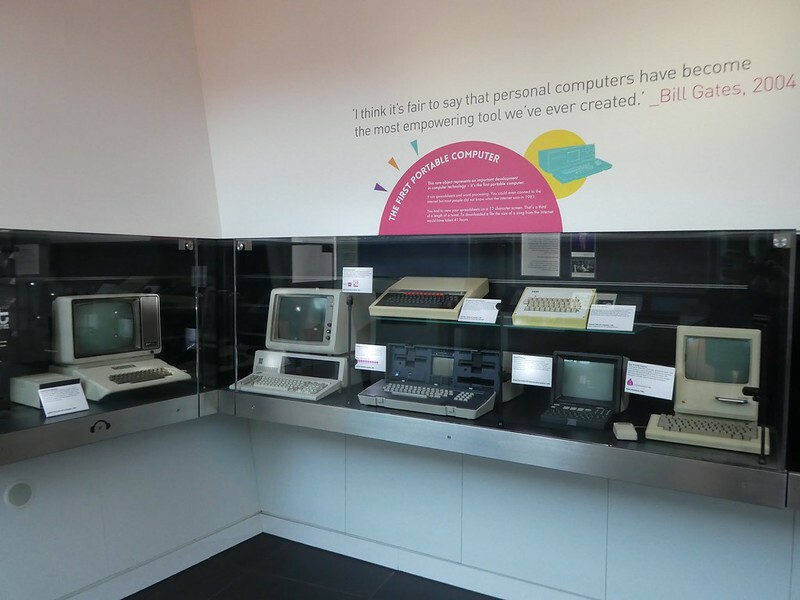 Moving on, we were introduced to Into our Lives – the Internet and You – this gallery brought us up-to-date with the onset of new eras of information sharing and finally Into the future examines prototype devices and new concepts being developed. Upstairs, we visited the Magic Factory – a gallery filled with hands on exhibits to demonstrate the scientific principles of light and colour which helped us to understand the science between photography, film and television. A new gallery, Wonderlab takes visitors on a journey exploring light and sound featuring 20 interactive exhibits. 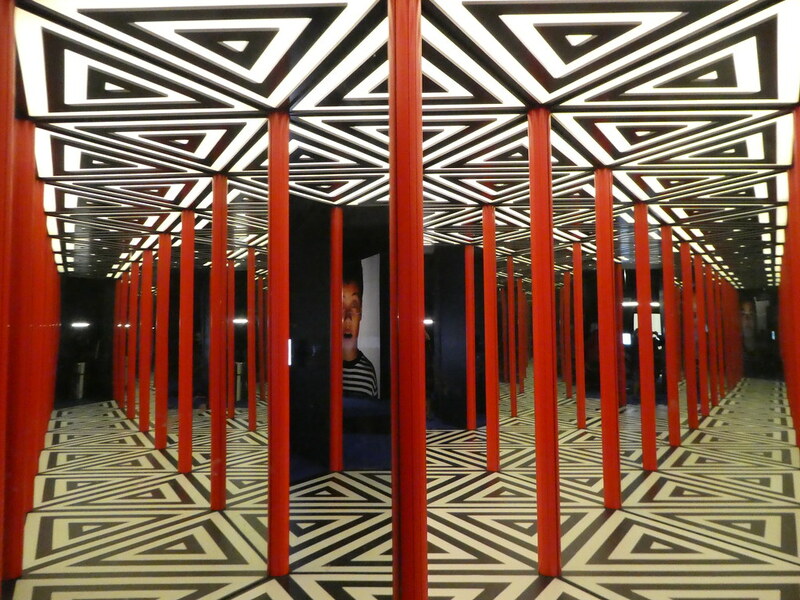 This was my favourite part of the museum where I was able to hear my voice through a 15m long tube, travel through a laser tunnel and find my way through a maze of mirrors. – all such good fun. After enjoying our visit, we relaxed with cups of coffee in the Media Cafe before returning to the station. The sun was shining for us as we walked through City Park, a six acre space in the heart of the city. 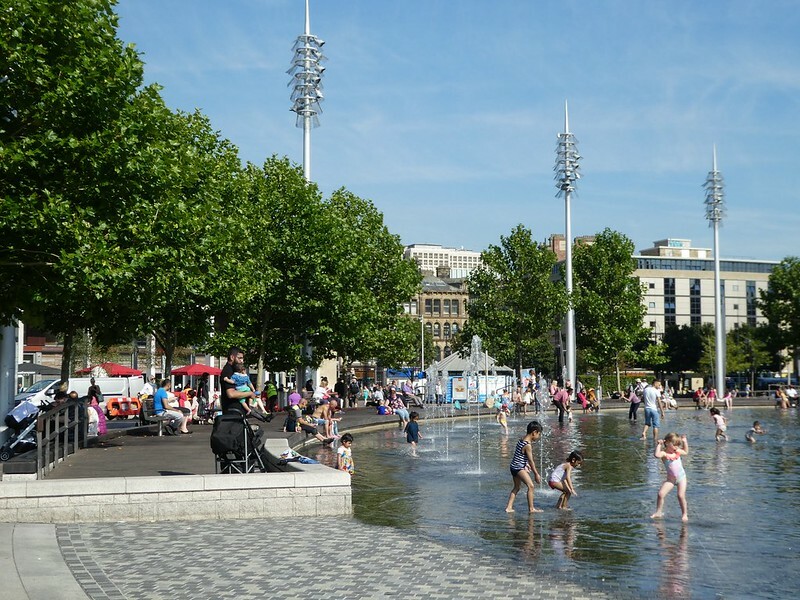 Children were having fun playing in the mirror pool which contains more than 100 fountains of differing heights. The park opened in 2012 and has helped to transform and regenerate the city centre. Dominating the square is the imposing Grade 1 City Hall, a Gothic masterpiece most notable for its landmark clock tower. It opened in 1873 and its courtroom which is no longer used for legal cases is sometimes used for the filming of television soaps and dramas where a courtroom is required. Thank you for your much appreciated thoughts on my Bradford post. Thank you Julia for your kind words. It’s good to hear from you and to know that you enjoyed this post on Bradford. The museum is very informative and good to visit if you are in the vicinity. Thank you for your thoughts. 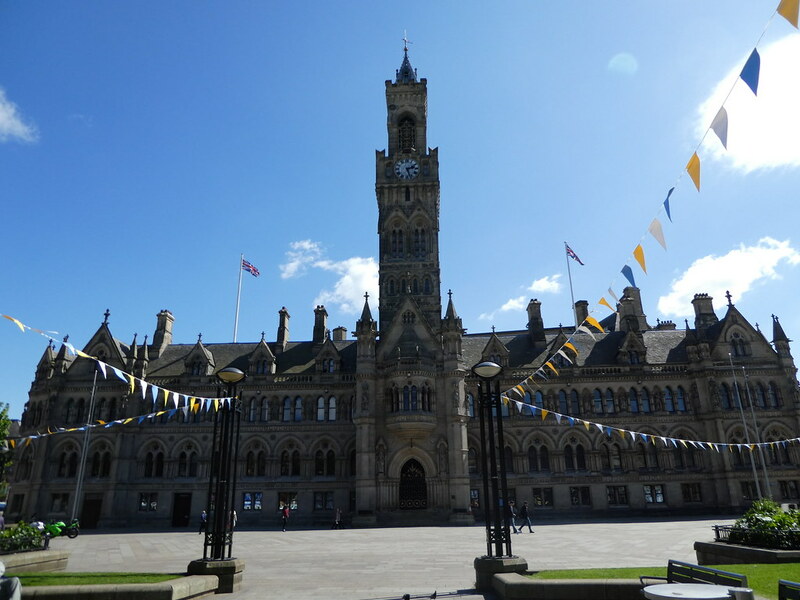 Although I live in Sussex, I have visited Bradford many times; it’s one of my favourite cities! The Media Museum is a lot of fun too. I enjoyed reading about your day there. We used to visit here when my daughter was little, some of the exhibits look to have updated. Is the TV studio and the Magic Carpet still there? Sadly Jill, I believe these have now disappeared to be replaced by the Wonderlab. I remember taking my sons there too! Shame, I used to enjoy trying out a bit of vision mixing, cutting between cameras on that brass band while my daughter flew off on the magic carpet. Still, a science and media museum need to keep up to date. I would really love that museum too Marion; I would find the exhibitions really interesting and would like to walk through that maze of mirrors. Thank you Sue, the Science and MediaMuseum was very interesting and it’s good that to find some National collections outside of London. Thanks Jo for your positive thoughts. It used to be the National Museum of Photography but it’s had a change of identity now so I thought it was worth taking a look. When the sun is shining everywhere looks so much more attractive doesn’t it! I would have spent a lot of time in that museum. The explosion of the internet from just a connection between two or three remote points of geography has exploded. The power of the iPad gives you an office and research tool in hand not to mention video conferencing and just plain communication. We get instant news from around the world as we walk around. All because someone conceptualized the internet. You are so right Ian, the world has been transformed and become a much smaller place, with instant news and communication from around the world. Thank you for your valued comments. Thanks Noel, it is such an interesting museum. Thanks Jason, a good place if you are in the vicinity. Great post. I’ll have to put this on my list for our next trip over. Thank you, I hope you enjoy your visit. We enjoyed reading this article. It was something different, showing that traveling has so many options what to explore! Thank you for your valued thoughts, it’s good to hear from you and to learn you enjoyed this post.